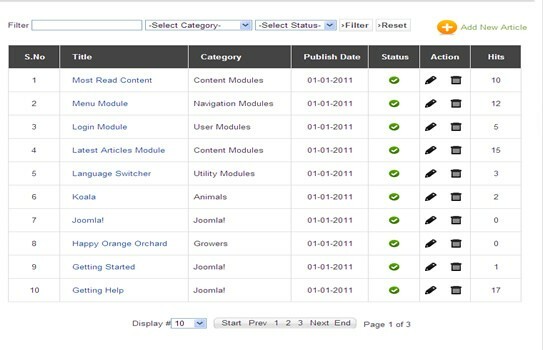 User Article is a Joomla extension that helps you to create an article list at the front end of your Joomla site. The users have access to view, edit and delete articles from the list. 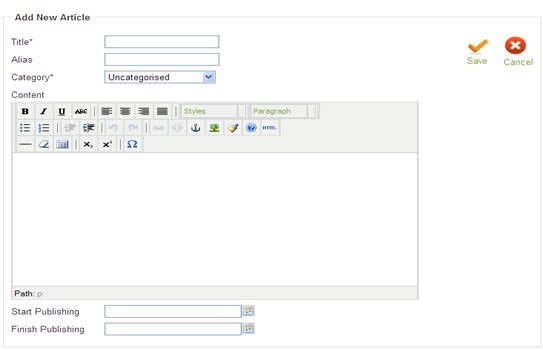 The admin can receive notification emails when user creates or edits an article. User Article is a Joomla Extension that allows registered users of joomla to create an article in the front-end. This will also displays the list of the articles created. 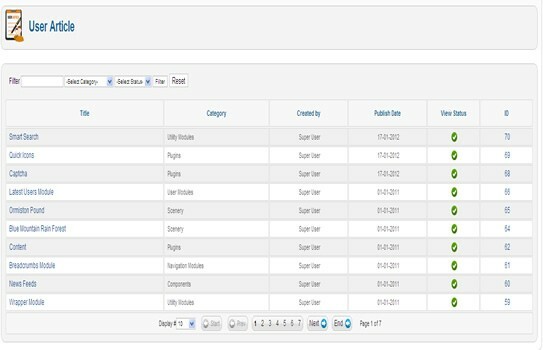 This component provides an editor to add the content to an article. User can also edit,delete and view their article. Administrator will receive the notification for each creation and deletion of article.